Latonia Shelecia Stewart is alleged to have combed newspaper obituaries and then burglarized homes while owners were attending funerals. It may not be the biggest scam to ever make headlines, but it could be one of the most shameless. Greenburgh Police said Saturday that Latonia Shelecia Stewart, 26, read the obituaries in Westchester County, New York, so that she could burglarize homes when she knew the people who lived there were out grieving at a loved one’s funeral, WPIX reported. Police noticed a distinct pattern of burglaries in various residential areas that played out over the last several months. Those targeted were all recently named as next of kin in obituaries. And the obits also revealed detailed funeral arrangements. As a result, police issued a warning to residents in March: When you attend a funeral, make sure someone remains in the house. Also, leave the home address out when writing an obit. New York State Police recently obtained information on a potential suspect’s car, a silver Acura MDX, that they turned over to local police. That’s when the officers laid a trap. While waiting outside a home of a recently deceased resident, they observed a car matching the description they’d received. They pulled the car over and found Stewart inside with items that had been reported stolen from a home back in February, according to the Bronx News. The Bronx woman, arraigned and released on bond, has been charged with conspiracy to commit burglary, a felony, and criminal possession of stolen property, a misdemeanor. Currently, it’s not known how many municipalities list Stewart as a suspect in similar crimes. This is not the first time someone has allegedly broken into homes when occupants were attending a funeral. Earlier this year, police arrested a Massachusetts man dubbed the “obit bandit” after he robbed a house while the resident attended her mother’s wake. Police say he’s responsible for a number of break-ins. Randy Brunelle, 35, was indicted in March on seven counts, including three counts of felony breaking and entering, three counts of larceny from a building and one count of attempt to commit a crime. Beyond wanting to burglarize unoccupied homes, there are other reasons scam artists may be combing through obits. For one thing, dead people can fall victim to identity theft — costing their next of kin major financial losses. With the information in an obit, fraudsters often can figure out the person’s Social Security number to open credit card accounts or apply for loans. (The first five digits of a Social Security number are linked to a time and place of birth.) So you should include as few details as you can in an obit and make sure you let the major credit-reporting bureaus know they should flag the person’s account as “deceased.” You should also contact the Social Security Administration, the IRS, banks, insurers, mortgage companies, and credit card providers to let them know of the death. 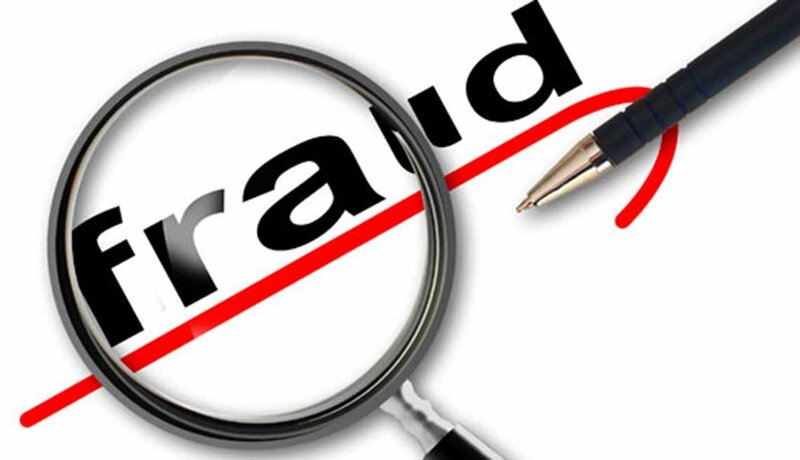 For more tips on how to avoid scams, check out AARP’s Fraud Watch Network.